This Art Deco chrome & sycamore veneer corner unit is probably English. 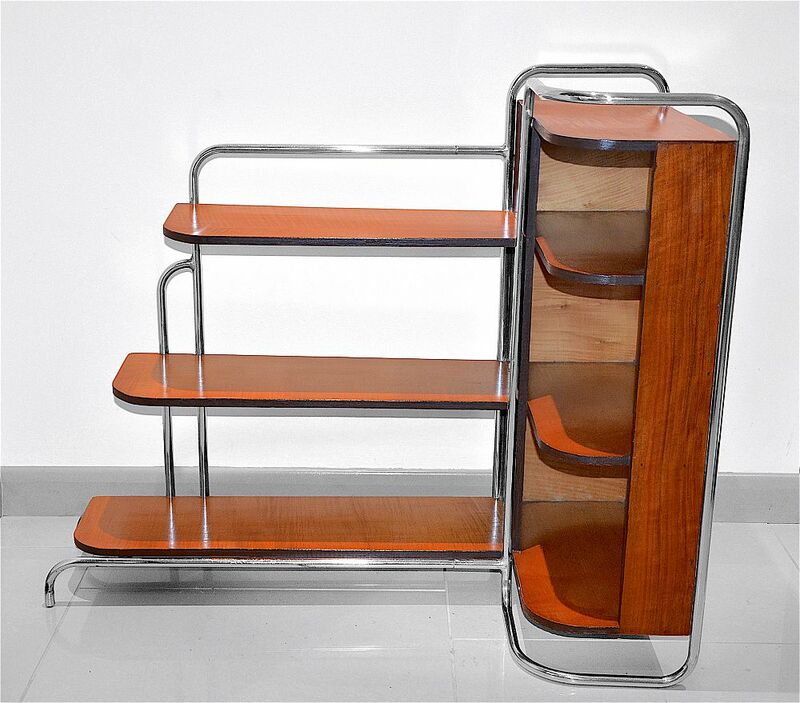 It has a chrome tubular frame to which the shelves are attached. The longer side of the "L" shape is open backed and has 3 graduated shelves whilst the shorter side of the "L" shape is backed so is more like an open fronted cupboard and has 3 interior shelves, not including the top which could also be used as a shelf. A very useful and stylish item - it could be used for a TV and music centre and/or books or ornaments.